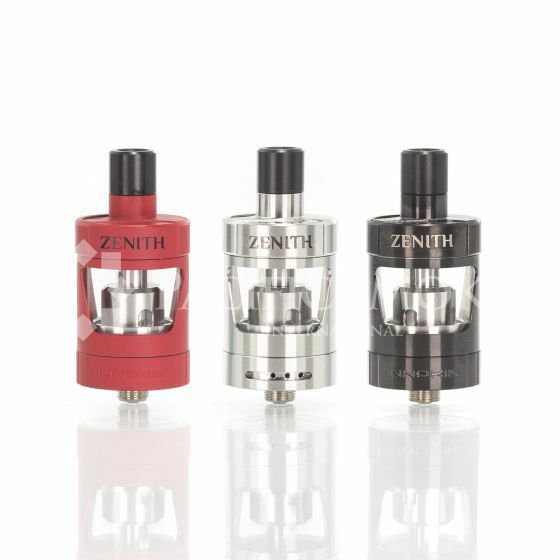 Manufactured by Innokin with design collaborations with Phil Busardo and Dimitris Agrafiotis, the Zenith MTL Tank is specifically designed to provide a flavor-focused vape experience while offering a user-friendly structure with ergonomic functionality. 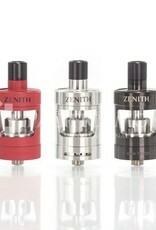 The Zenith is equipped with a unique Twist-to-Open top-fill method that exposes the large filling port for efficient wicking process. Airflow enters the Zenith MTL Tank through four adjustable airslots located at the base, each measuring a different diameter for precision fine-tuning for desired airflow pull. With a trim and attractive chassis crafted by a sensational collaboration between an acclaimed manufacturer and two popular designers, the Innokin Zenith MTL Tank makes for the perfect platform for flavor chasers and MTL enthusiasts.